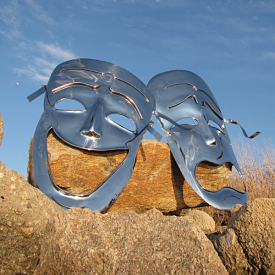 On August 9 and 10, the ART drive returns to the South Coast for its 7th annual exhibit when 32 Dartmouth and Westport artists will open their studios to the public. The ART drive places a unique emphasis on a consistent and high level of professionalism and quality and features some of the area’s most accomplished painters, ceramic artists, photographers, jewelers, and woodworkers. Visitors will have the opportunity to view the works of guest artists at several of the studios. Flippin’ Flounder’ – Following the past four years of enthusiastically received large-scaled artistic renditions of the Classic Cod, Yellow Fin Tuna, Striped Bass and Blue Fish, this year’s artists will apply their unique talents to new, colorful and imaginative depictions of the Winter Flounder, another species well-known throughout New England. 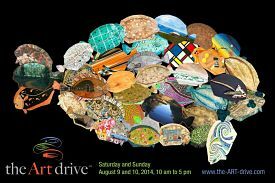 The 2014 ART drive artists: Gary Adriance, Morgan Bozart, Maddy Bragar, Peg Call-Conely, Bette Carney, Beverly Carter, Lynn Chadwick, Sarah Daughn, Janet Egan, Deborah Ehrens, Brenda Figuerido, Maureen Fleming, Ray Generaux, Gay Gillies, Wendy Goldsmith, Sandra Hall, Michael Hubert, Donna Huse, Taylor Kane, William Kendall, Caitlyn Kenney, Paula Kochanek, Isabel Mattia, Frank McCoy, Dora Atwater Millikin, Matthieu Oliveira, JP Powel, Kirt Rebello, Stephen Remick, Sabrina Satkin, Jim Sears, Martha Sears, Susan Strauss, Amy Thurber, Jimmy Viera and Rising Stars. Along with the participating artists, the ART drive is sponsored by many local businesses including: Westport Rivers Vineyard and Winery, Dartmouth Building Supply, Concordia Company, Big Ocean/Indigo Studios, Inc., Dedee Shattuck Gallery, Goat Cottage Farm, FLORA, Flora & Foglia, Inc., Friends Academy, The Sylvia Group of Insurance Agencies, Bayside Restaurant, Westport Art & Garden, Inc., and William Raveis Realty. For information on the artists, demonstrations, locations and a map visit www.the-art-drive.com.